Former Muttahida Qaumi Movement (MQM) leader and ex-MNA Syed Ali Raza Abidi was shot dead in Karachi’s DHA neighbourhood on Tuesday evening, Deputy Inspector General (DIG) South Javed Alam Odho said. He was 46. Two unidentified assailants riding a motorcycle opened fire on Abidi’s car near his residence on Khayaban-e-Ghazi street in DHA’s Phase V, according to Station House Office Gizri Asad Mangi. Abidi was alone in his car when the attack took place and was taken to PNS Shifa hospital by his father, Akhlaq Abidi. The former MQM leader succumbed to his injuries during treatment, SSP South Pir Muhammad Shah said. A postmortem examination showed that Abidi sustained four bullet wounds — two on his chest, one on his neck and as many on his arm. Police and Rangers personnel cordoned off the site of the attack and are collecting evidence. Sindh Inspector General of Police (IGP) Dr Syed Kaleem Imam took notice of the incident and sought a report from police authorities. Sindh Chief Minister Murad Ali Shah also took notice of the incident and sought an investigative report. In September this year, Abidi had tendered in his resignation from the MQM-Pakistan’s “basic membership” citing “personal reasons”. Abidi was one of the leaders who had stood with former convener Farooq Sattar in the buildup to the 2018 elections when MQM-P was subject to an internal power battle. In Nov 2017, he had opposed then MQM-P chief Sattar and Pak Sarzameen Party (PSP) Chairman Mustafa Kamal’s short-lived alliance, and even announced that he was resigning from his National Assembly seat as “this is not what I believed in and stood for”. Sattar while talking to reporters after his demise said “Abidi was like my children”. Abidi studied marketing at Boston University in the United States and also attended Iqra University in Karachi, according to his Facebook profile. He was the owner of the famous Karachi eatery, ‘Biryani of the Seas’. He was quite active on Twitter, with his last tweet coming just four hours before the fatal attack on him. This is the second incident of violence aimed at political parties or personalities in Karachi within a span of three days. 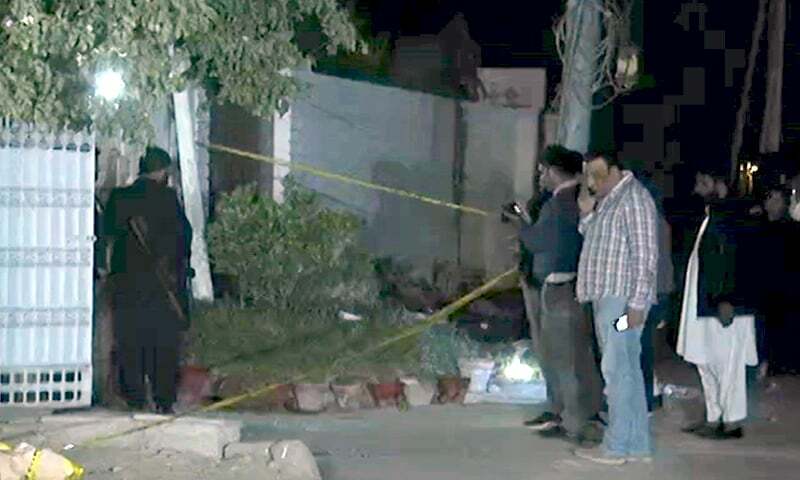 On Sunday, two workers of the PSP — which is an MQM offshoot — were shot dead and two others injured in an attack by armed pillion riders on the party’s office in Rizvia Society. Does President Trump’s recent decision to pull back 7000 troops indicate that the recent round of talks with Taliban is ‘productive’? Take good care of yourself, so you can work best caregiver for your child. feasting room. in April 22, 1560, he was quoted saying:” Your Majesty, you’re invincible and hold the world in awe. The gallery also serves enormous events coming from all parts of the globe.